In Indiana, gambling is considered a fun pastime when you are on the Ohio River or on Lake Michigan. It is offered right alongside the fishing trips and fun cruises. 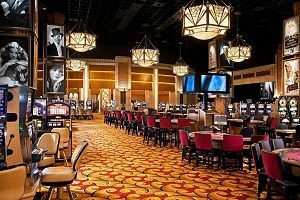 While the overview of gambling in Indiana is all about fun and excitement, the casinos are not at all about cheating during gambling. However, one man in the state decided that offering the arresting officer a bribe would be a good idea. Instead of a cash bribe, the offer for the agent was—a Big Mac. Indiana has a long history of riverboat gambling. In the 1850s, riverboats on the Ohio River, as well as pleasure boats on the lake, began to offer gambling for entertainment purposes. Because the boats were traveling on the river, there was no interference from the police or the government. Riverboat gambling on the Ohio River continued through the turn of the century and up to Prohibition. With Prohibition and the Great Depression, riverboat gambling ceased on the river and the lake. The idea of riverboat casino gaming returned in the 1990s, as the state was looking for ways to increase its revenues. Gradually, riverboat casinos and boats on Lake Michigan began to offer gaming cruises. In addition, two land-based casinos opened up as well. A tribal casino is also available. In all, there are 12 casinos and racetracks in the state. The annual tax revenue from the casinos in Indiana is estimated to be about $200 million a year. Hollywood Casino is in Lawrenceburg, which is a small town on the Ohio River near Cincinnati, Ohio. The casino has annual revenues of over $100 million dollars. Every casino, including the Hollywood, has had experience with cheating. Cheating a baccarat has been noted by experts to be easier than cheating at other card games. This is especially if the casino does not use automatic shuffling machines. 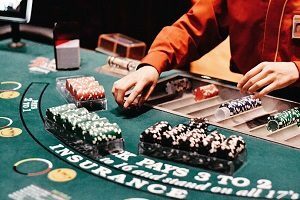 Many small casinos do not use automatic machines to shuffle decks of cards for baccarat, which makes them easy targets for gamblers. Recently, a group of gang members from an Asian gang was able to exploit card shufflers and steal $15 million over four years from casinos all over the West Coast. Cheaters have also used card switching machines, which can switch an unfavorable card with a favorable one. Earlier in the summer, a man was playing baccarat at the Hollywood Casino in Lawrenceburg. He had been playing for a while. While the man was not using a card switching tool, or trying to predict the outcome of the game by watching patterns within the shoe, he did try and change his bet after the outcome of a game. He bet $200 on the shoe, and then tried to up his bet to $400 by moving chips around after the game concluded, but before the dealer collected and distributed chips. The man’s move was caught on camera, and an agent for the Indiana Gaming Commission came down to the floor to arrest the man. At first, he denied that he cheated. When confronted with the evidence however, he admitted that he cheated, but he didn’t see what the big deal was. He was unaware that cheating at a casino was a felony. At that point, the man said he couldn’t go to jail, because he was a manager at McDonald’s and needed to make his house payment. He offered to give the agent as many Big Macs as he wanted. Of course, he didn’t have those Big Macs with him, so his offer was refused. He was arrested instead, and charged with a felony. Perhaps the agent was more of a Burger King man. Next articleTrekking – Sport or Leisure Activity of the Future?